State of Decay has been one of the most successful, if not the most successful Xbox Live Arcade titles of all time. The premise of an open-world zombie game where you'll experience the exact same challenges you will encounter in a zombie apocalyse, if it does happen in real-life, is the game's biggest draw. Apart from the classic missions and quests from a third-person zombie action game that you'll expect, it is the only zombie game as far as I know that has a "simulation" feature embedded into it. The simulation replicates changes in the gameplay even if you left the game after turning off your console. This means that depending on the amount of resources you have and how properly you've set and deployed your members before saving your game directly affects the changes that you'll see when you go back. Leave few resources and injured members, and you'll face a very troublesome scenario after you return to your saved game. Prepare properly before saving your file, and you'll be rewarded handsomely on your return back. Genius and rewarding indeed. This guide covers all the missions, extras, and achievements for this impressive open-world experience. Please use the menu on the right to navigate. Will there be a future update where it will be multiplayer? Because I have a brother that wanna play coop with me because he's tired of playing by himself. 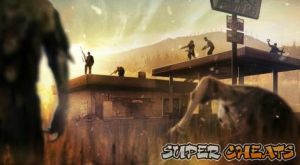 No discussions open for State of Decay at the moment.